Clinton Village Antique & Collectible Flea Market. Clinton Village. 327 E. Main Street. Route 1. 10 am - 5 pm. New market new market featuring quality collectibles, junque and antiques. Space from $15. (860) 669-3839. Coventry Flea Market. 44 Lake Street. Junction of Route 31 and Route 275. Hours 9am-4pm. Ample parking. 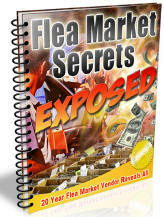 Indoor/outdoor market with approximately 75 dealers. New merchandise, furniture, jewelry, advertising items, antiques, collectibles, crafts, pottery, and used merchandise. Snack bars, restrooms, h/a. Clean market. Space from $12. per day & up. c/p Rose Fowler, 110 Wall St, 06238. (860) 742-1993 or 742-9362. Market open year around. College Mart Flea Market. Wedgewood Drive. Market open 9am-4pm year round. Plenty of parking. Average attendance 4,000+. Approximately 150 dealers. Antique to miscellaneous merchandise, crafts. Snack bar, clean restrooms, h/a. Auction every other Friday. Space from $25. Inside and outside, year round. c/p Bob & Sue Leone, Wedgewood Drive, 06351. (860) 376-3935 or 672-6248. Eastern Connecticut Flea Market. Junction 31 and 32. Mansfield Drive In Theater. Hours 8am - 3pm. Ample parking. Average weekend attendance 6,000. Approximately 200 dealers on Sunday. Market has well balanced mix of merchandise. 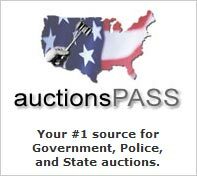 Antiques, collectibles, new and used items, toys, sportswear, bric-a-brac. Good food here. Restrooms, h/a. Space from $20. tables available. Opening soon on our grounds: Mansfield Marketplace, 15,000 sq ft indoor market. c/p Michael Jungden. 228 Stafford Road, 06250. (860) 456-2578. Seasonal market open from early spring through Thanksgiving. Boulevard Flea Market. 500 E. T. Grasso Blvd. I-95 Exit 44 or 45. Hours: 7am to 4pm. Free adm, paid parking. Outdoor market with approx 100 dealers. Market is strong on new merchandise at severely discounted prices. Some collectibles, used merchandise, closeout goods. Space from $25. per day. Snackbar, restrooms, h/a. c/p Manager, 500 E.T. Grasso Blvd, 06519. (203) 772-1447 or (877) 228-7554.. Elephants Trunk Flea Market. Route 7. I-84, Exit 7. Hours: 6am to 2:30pm. Adm. $1. Ample parking. Approximately 200 dealers, antiques, collectibles, jewelry, new and used merchandise, sportswear, electronics, housewares. Food, restrooms, h/a. One of the area's older and better markets. Space from $25. c/p Greg Baecker, 23 Deerwood Lane, Woodbury, CT 06798. (860) 355-1448. Maplewood Indoor Flea Market. Danbury Road. Route 7. I-84, Exit 7, 4 miles north. Hours: 8:30am to 4pm. Free adm, ample parking. Approx 75 dealers. Antiques, collectibles, new and used merchandise. Some very nice collectibles here. Space from $30. Snack bars, restrooms, h/a, game room for kids. One of the area largest indoor markets. c/p Manager, 458 Danbury Road, 06776. (860) 350-0454. Old Mystic Outdoor Antique Flea Market. Route 27 and I-95. Hours 8am-5pm. Ample parking. Approximately 40 dealers. Market located in one of America's most interesting city's. Good selection here, crafts, art, antiques, collectibles, jewelry, glassware. Snack bar, restrooms, h/a. Outside on black top. Spaces approximately 20 feet long, from $20. Seasonal market. Open March-December. c/p Sonny Hendel. Hendel Building. 06372. (860) 536-0646. Wrights Flea Market. Route 4. Hours 10am-4:30pm. Ample parking. Indoor market with approximately 40 dealers. Market is mainly antiques and collectibles, some secondhand items and some bric-a-brac. Nice place to find good quality smalls at very attractive prices. Restrooms, snack bar, h/a. Space from $25. c/p Millie Wright. 149 Wright Road, 06790. (860) 482-1186 or 482-0095. Redwood Country Flea Market, 170 South Turnpike Road, Wallingford, Every Sat. & Sun. year round! Approx. 60-90 dealers, Ample Free parking, Free admission, Antiques, Collectibles, New & Used items, Sports Items, Tools, Music, DVDs, Produce, Flowers, Clothing, Jewelry, Coins.